Enzymes are the machines of biological engineering, performing the chemical transformations of the living world. There are hundreds of thousands of enzymes that are relevant to the products we are building at Ginkgo. We use software and the foundry to search through the vast evolutionary space and discover the best enzyme for each job. To improve a customer’s industrial fermentation process, Ginkgo sought out to replace a costly enzymatic step with a new enzyme that improved strain growth and performance. Using the tools of the foundry, Ginkgo engineers were able to find an alternative enzyme in 6 months. 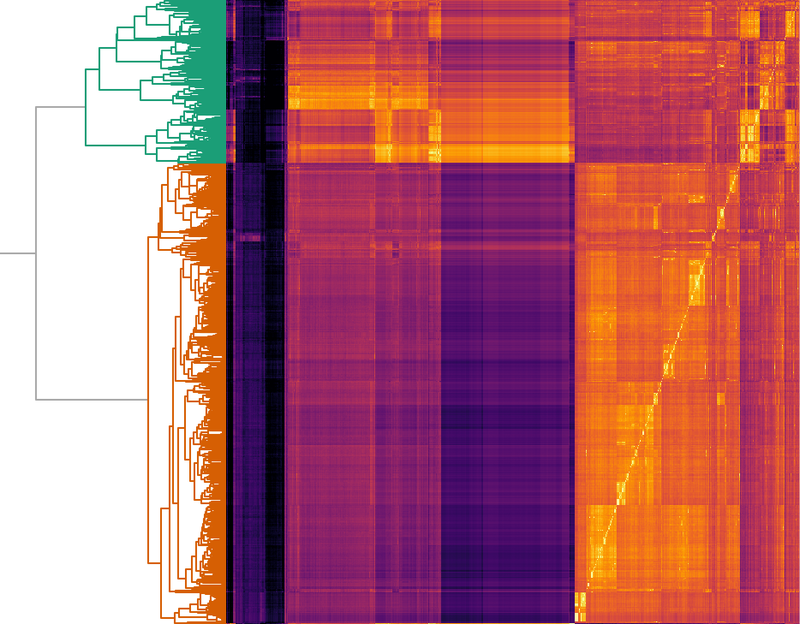 Engineers at Ginkgo utilized a combination of rational design and machine learning approaches to identify better enzymes. The Ginkgo team used our codebase and domain knowledge to pool together a library of 942 unique enzymes, sampled across enzyme families, ecological niches, and structural homologies. 25% of Ginkgo’s novel constructs outperformed the previous best enzyme in vitro, improving function by more than 100%. Notably, the best Ginkgo enzyme had only 35% sequence identity to the client’s best enzyme and was therefore a substantially different protein. The enzyme, which had no annotated function in public databases, would not have been selected for testing without the Foundry’s capacity for large-scale testing. Enzyme discovery and synthetic metagenomics enable organism engineers to identify powerful variants and optimize enzyme pathways. Because Ginkgo has the capability to search through the broad range of biodiversity that exists, we are able to identify and test enzymes that would not have been found otherwise.